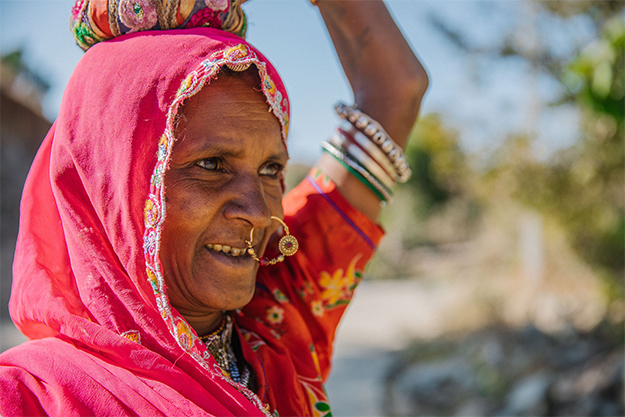 Ramba Bai sets out from her home in rural Rajasthan, northwest India, on a journey she’s made daily since the age of ten. 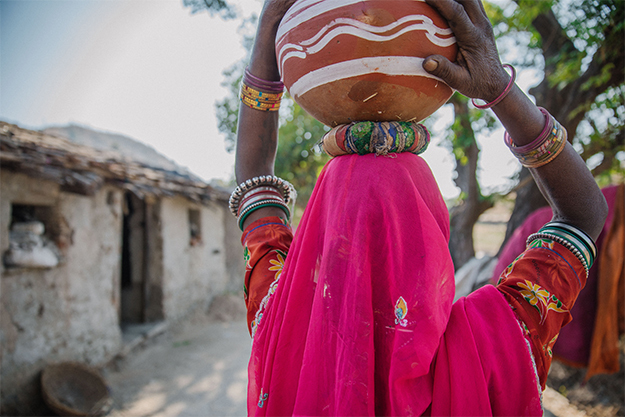 For 45 years, she’s carried clay pots on her head and walked to fill them at the village well. Now, WE Charity is asking Ramba to add an extra step: boil the water before drinking. It’s part of a comprehensive program to combat waterborne illness. Women like Ramba are often skeptical. Ramba has three grown children. At first, she only knew that her family was sick. She didn’t know it could be from their water source. Through a translator, Ramba describes frequent gas, loss of appetite, fevers and chronic stomach aches. 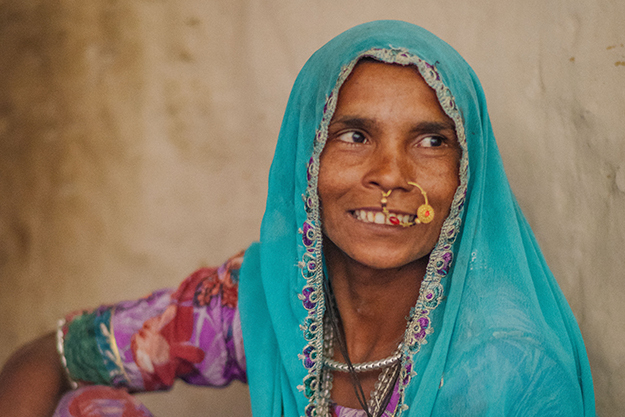 And she uses a word for a symptom that’s very common here—swargh—Mewari for “heaviness.” It’s a catch-all for a variety of gastrointestinal problems in this region. 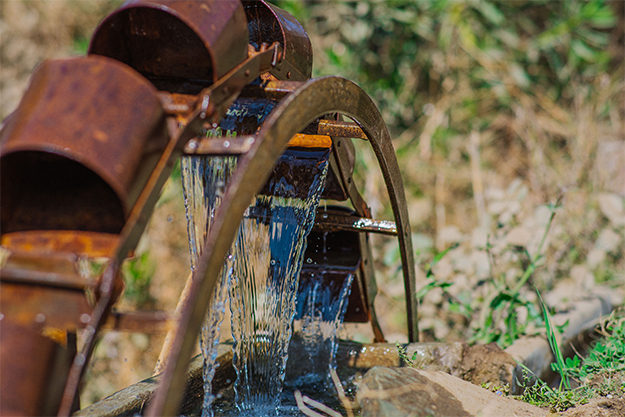 Clean water programs must be comprehensive and layered—more than digging and deepening wells. Infrastructure is vital, but engineering doesn’t change behaviour. Add the fact that Rajasthan is a desert state and groundwater levels are low. 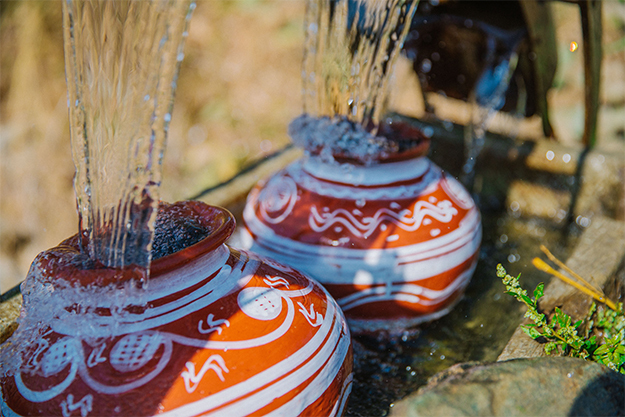 A well will increase water supply; it won’t ensure the water is safe to drink. But, there is little trust that boiling water works and little knowledge that it can save lives. Here, what the locals call “heaviness,” a universal symptom, could be traced back to a number of waterborne diseases. 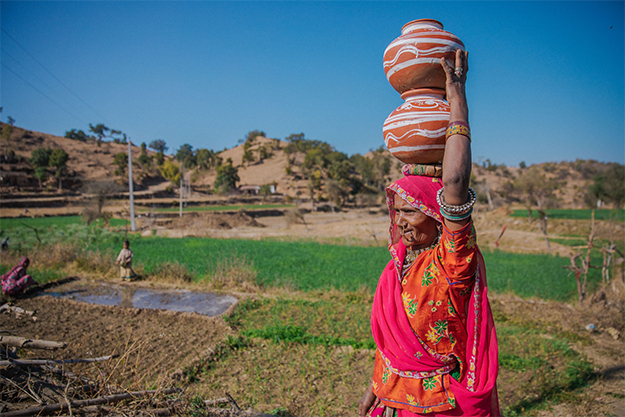 Diarrhea, dysentery, jaundice and typhoid can spread through bacteria in Rajasthan’s water sources. 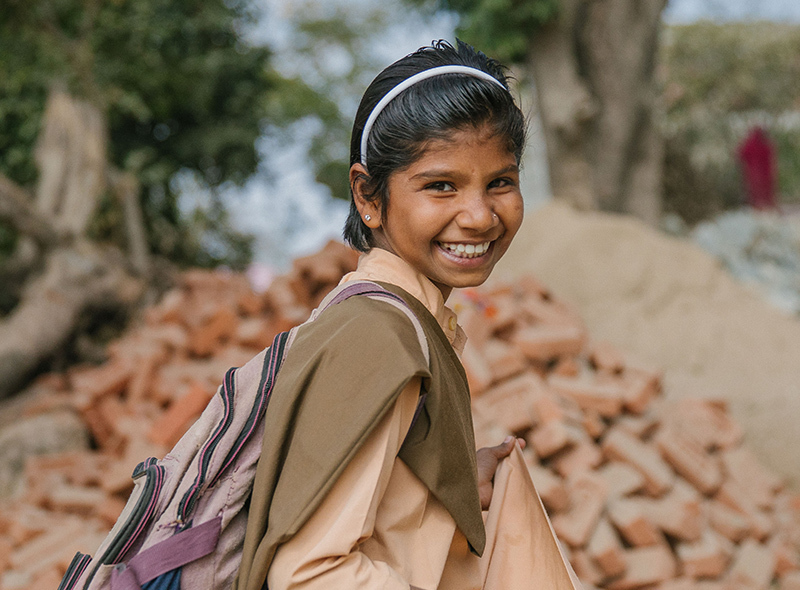 Diarrheal disease is the second-leading cause of death in children under five around the world. Typhoid fever, left untreated, can also be fatal. Ramba’s family of seven uses a lot of water. 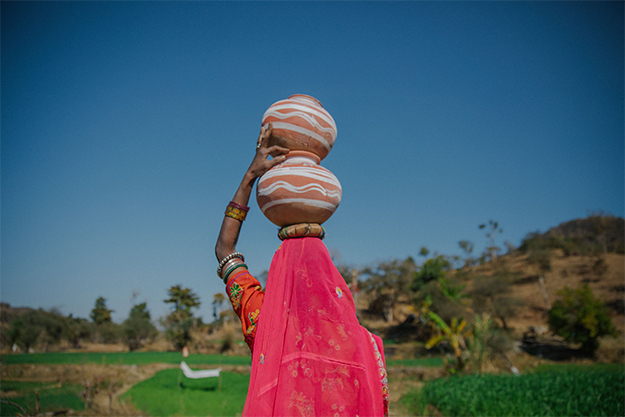 She walks to fill these pots four times a day, twice in the morning and twice at night. 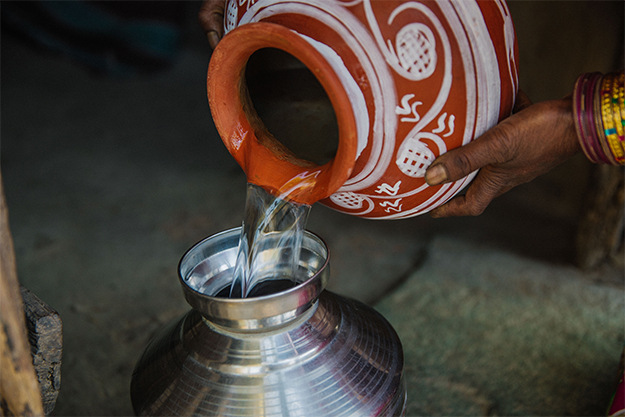 This is the water that will quench the thirst of her sons and their wives, their own children, and will be used for a number of household tasks. 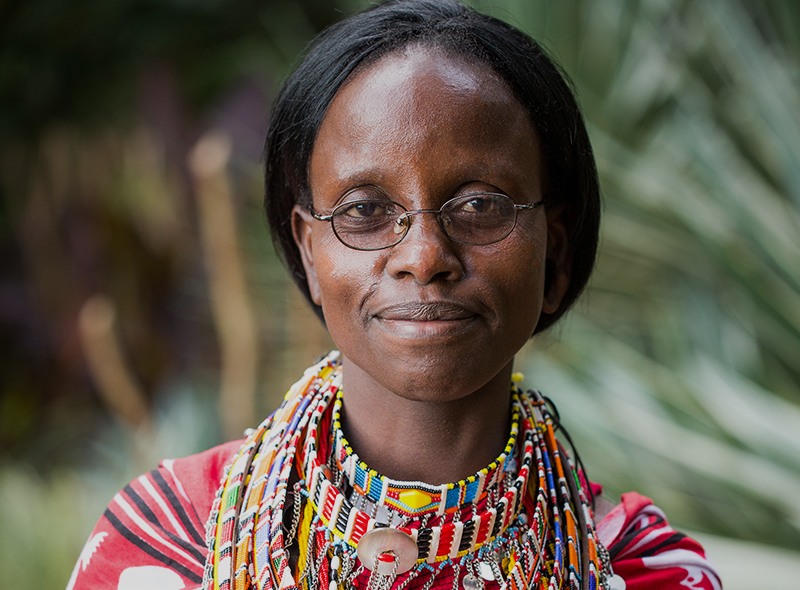 “I use the water for my goats, for my oxen, for drinking, for bathing, for washing my clothes,” Ramba says. Without plumbing, far from the nearest grocery store, communities rely on natural bodies of water— mainly groundwater wells. 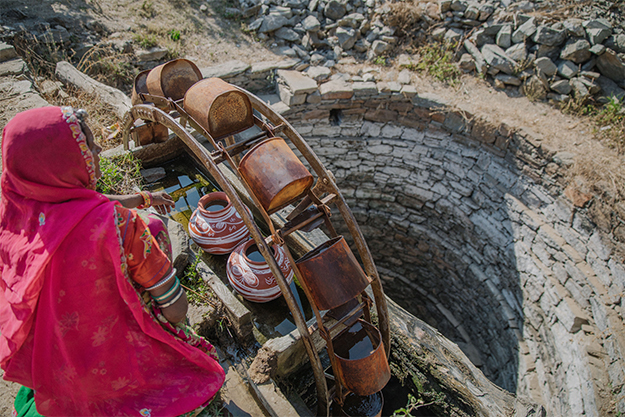 This well near Ramba’s home is set to be rehabilitated. 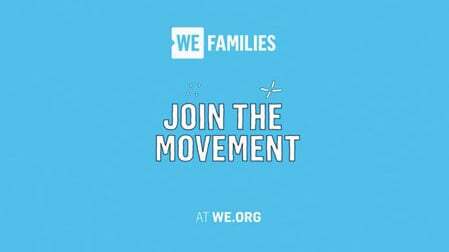 With resources and equipment from WE Charity, her community will blast the well with dynamite and haul out the heavy rocks. This will increase depth and therefore water supply, especially in the summer months when the rain stops. 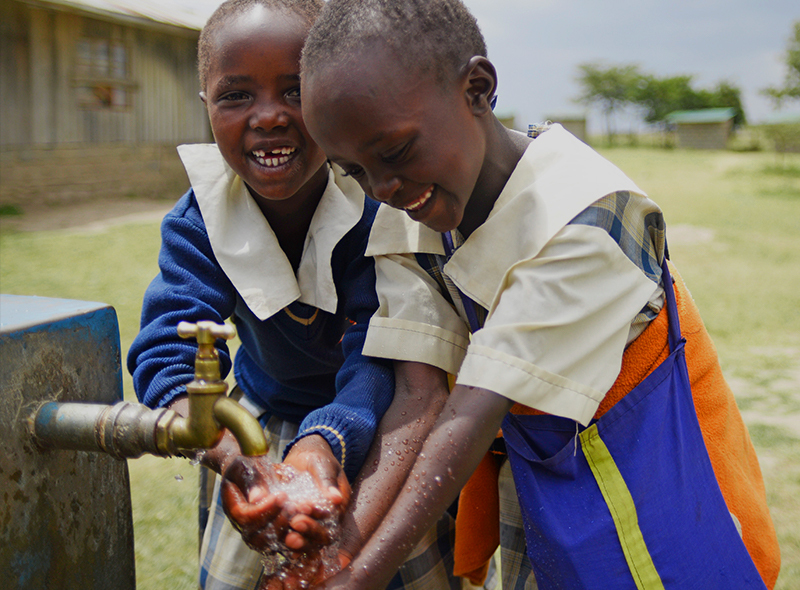 In addition to clean water infrastructure, WE Charity offers outreach and education. Health mobilizers are hired locally to go village to village, door to door, compelling women and families to boil drinking water. 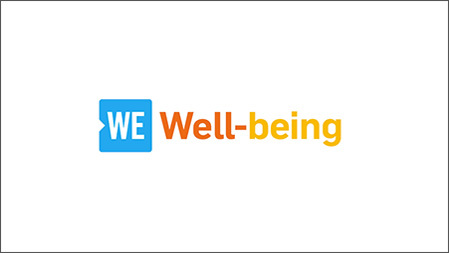 They also recruit community members to attend free training programs to teach participants about waterborne diseases, the importance of handwashing and hygiene, and of course, boiling water. 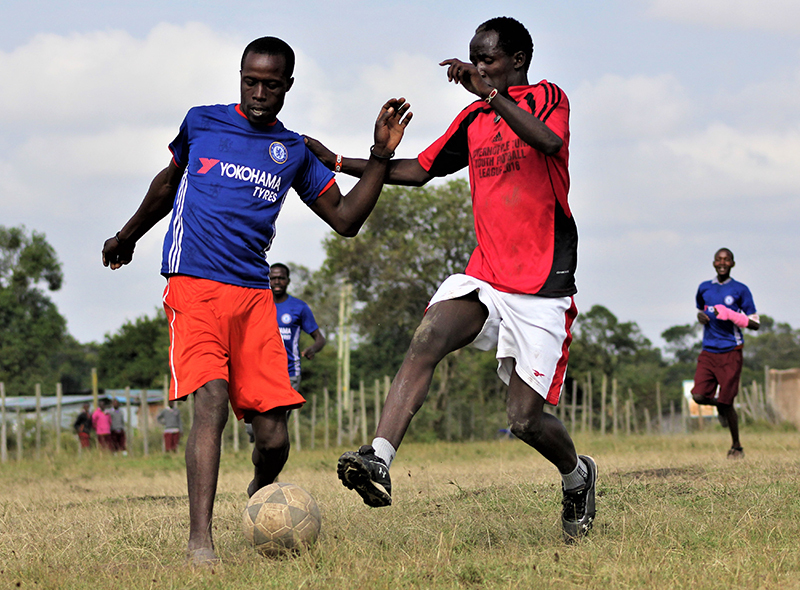 In 2015, a WE Charity health mobilizer came here, to Ramba’s home, and invited her to a training session. Ramba attended. 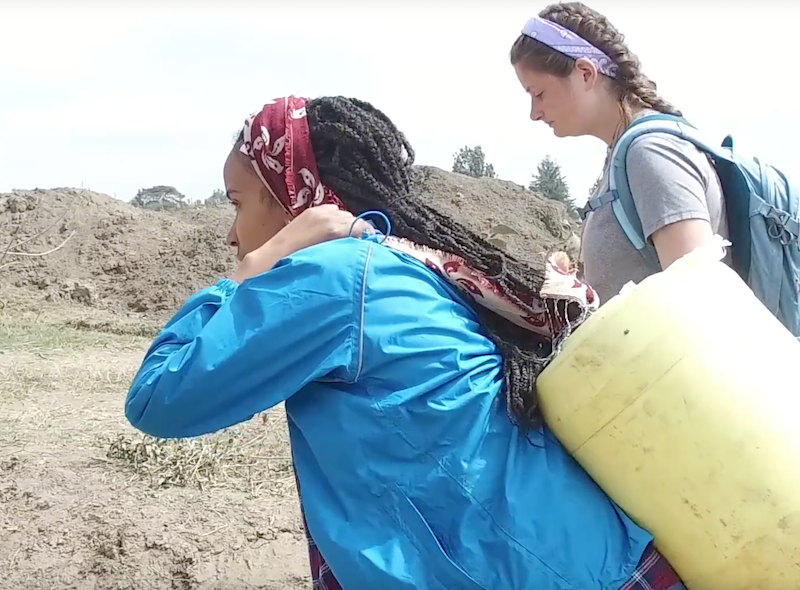 She made the connection between bacteria in the contaminated water and her symptoms—the vomiting and fever that kept her from work. She started to boil her water. 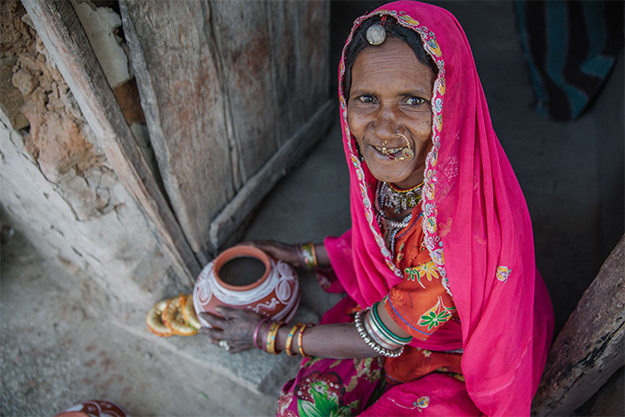 To make the boiling process easier, Ramba installed a smokeless chulha, or stove, in her home. 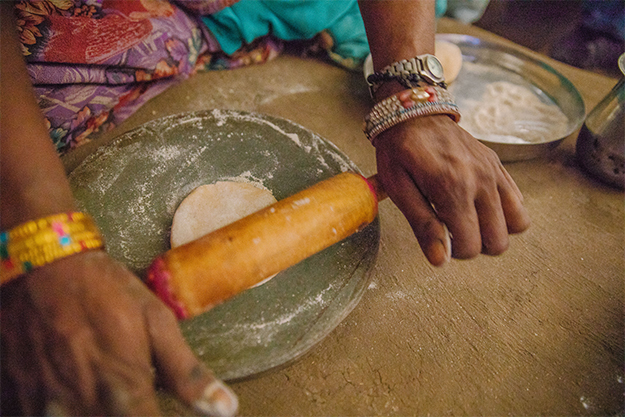 In her community, most cooking is done over open fires in homes without chimneys—making boiling water a chore that threatens lungs with smoke and uses extra fire wood. Ramba was the first woman in her community to use WE’s new smokeless stove and is now an advocate, telling her friends to convert. Word is spreading. Lerki mentions her family suffered typhoid and jaundice. Her husband, Naring, regularly visited the doctor, 15-kilometers each way, and often paid for medicine to soothe an upset stomach. The smoke was ruthless in other ways. “Our eyes burned. The walls were black,” she says. “Utensils were black. 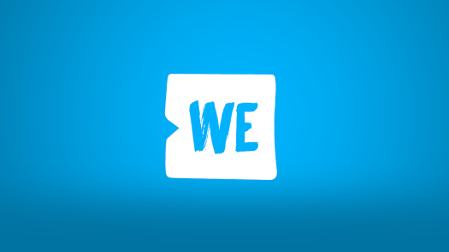 Our lungs filled with smoke.” Curious, Lerki attended a WE health seminar. After, she installed a smokeless stove. Lerki experimented with her new stove, its chimney to outside, and dual burners. 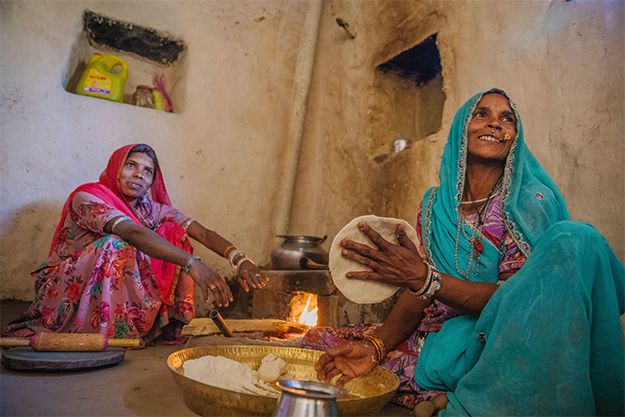 “When I first used the smokeless chulha and saw the walls were not black, I knew this stove was better,” she says. “There is no dark black smoke in the house.” Her family’s health immediately improved. Her husband no longer makes trips into town to pay for medicine. 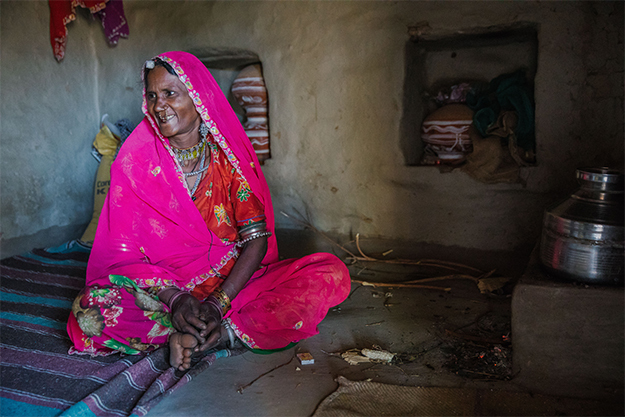 A smokeless chulha takes up twice as much space as a traditional stove. But it’s worth it. Lerki can boil water and cook at the same time, using the same amount of firewood. 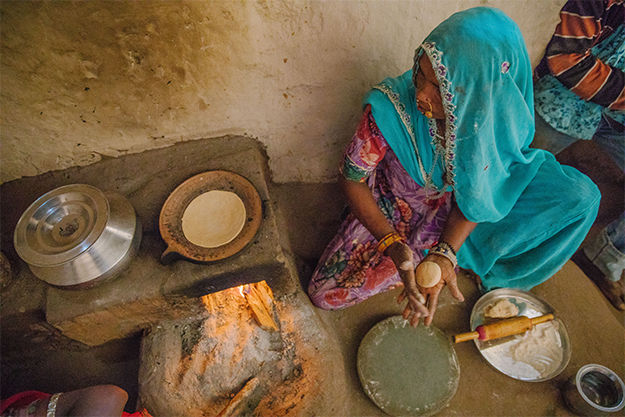 She makes up to 20 chapattis for her family’s lunch every day. At dinner time, Lerki cooks lentils or vegetables on one burner and boils drinking water on the other, a crucial time saver. “I cook jaldi jaldi,” she says, fast, fast. 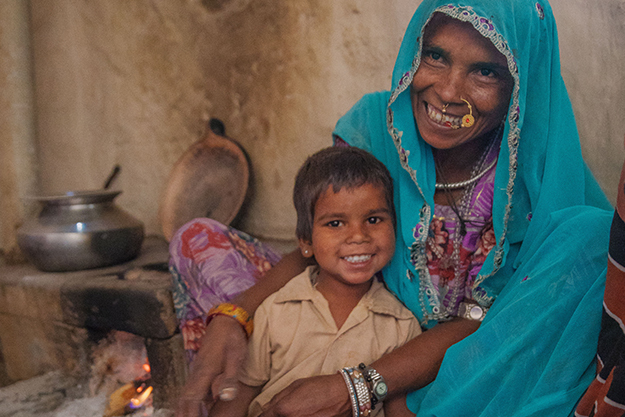 WE Charity’s smokeless chulha program started in 2014—700 chimneys have since been installed here, for free. That’s 700 homes. Even with a conservative estimate of four-member households, that’s 2,800 people breathing clean air while they cook. It’s soon to be more. “I tell all of my friends to try a new stove and to boil water,” says Lerki. 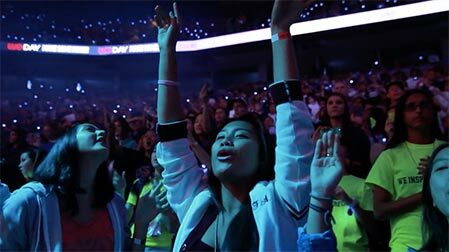 They will in turn tell their friends, improving health for their own families.